Gulou is also known as the Drum tower and rests at the northern end of the central axis of the inner city. The building was first built for the promotion of music but later on was used to announce the time. Today the building stands as a great tourist attraction that attracts tourists from all across the globe. 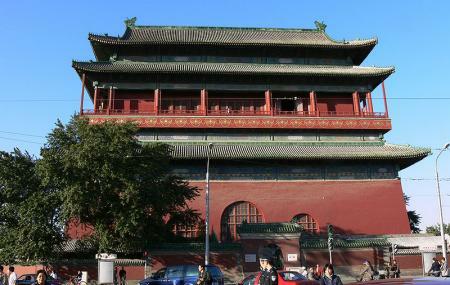 Zhonglou is the bell tower and stands closely behind the drum tower. Both of the attractions have great views of the surrounding. Do not litter in the tower. Ask authorities before taking photos. Take a bus from Bao Chao Hutong. How popular is Drum Tower? People normally club together Beijing Zoo and 798 Art Zone while planning their visit to Drum Tower.